As we all know Google Play Store doesn’t directly support some apps for Android Tablets, that includes the most popular messaging app – WhatsApp. 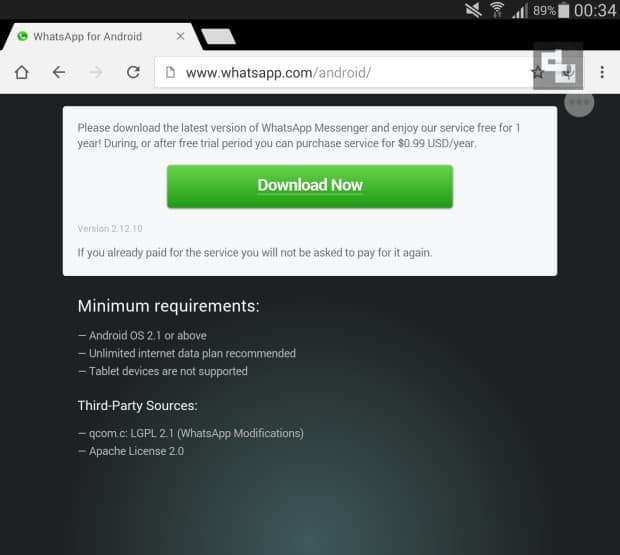 So in this post we are going to tell you some steps to install WhatsApp on your Android tablet easily. Note: This tip is not applicable for Wifi only Android tablet devices. 1. 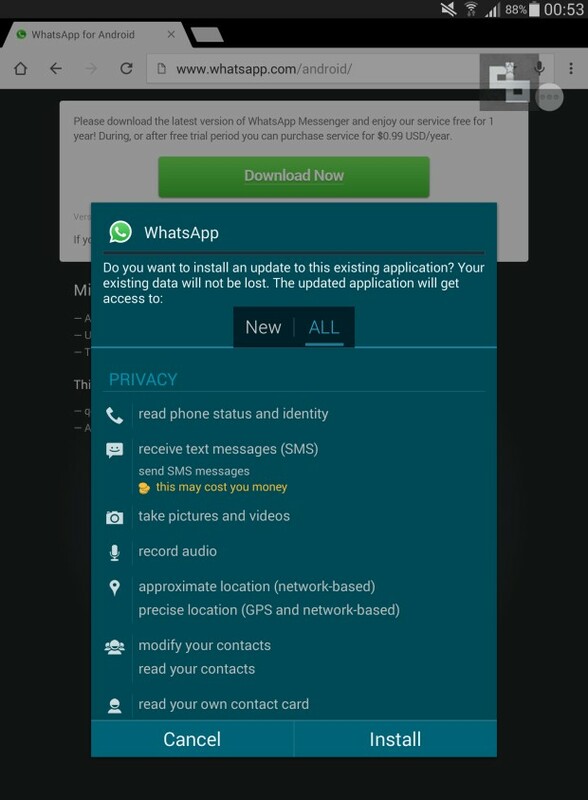 Go to WhatsApp for Android page and download the WhatsApp.apk file. 2. After that, complete the action using “Package Installer”. To install APK files on your Android device you need to enable something (if you haven’t). Go to Settings > Security > Enable ‘Unknown Sources‘. By this you are allowing installation of apps from unknown sources. 3. 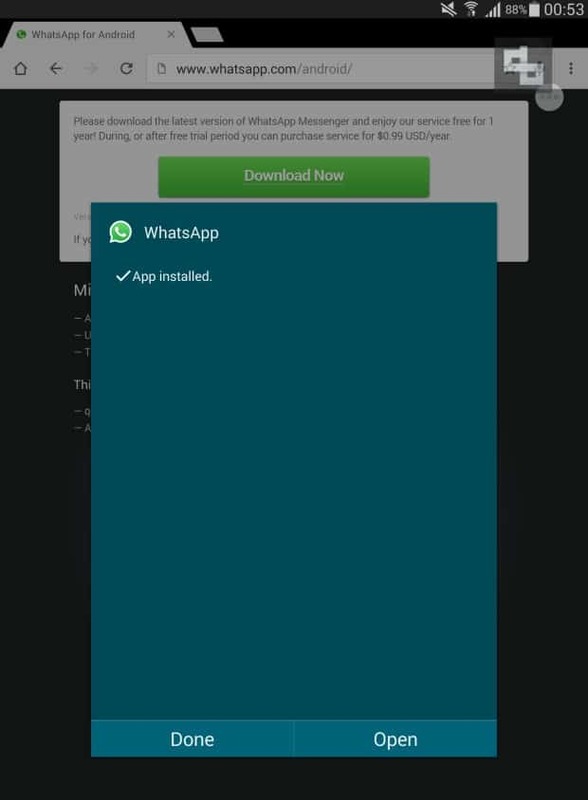 Now you get the installation popup, choose your required option and install the app. 4. Tada! Now the app is installed and you can use it just like the way you use it on your phone. 5. 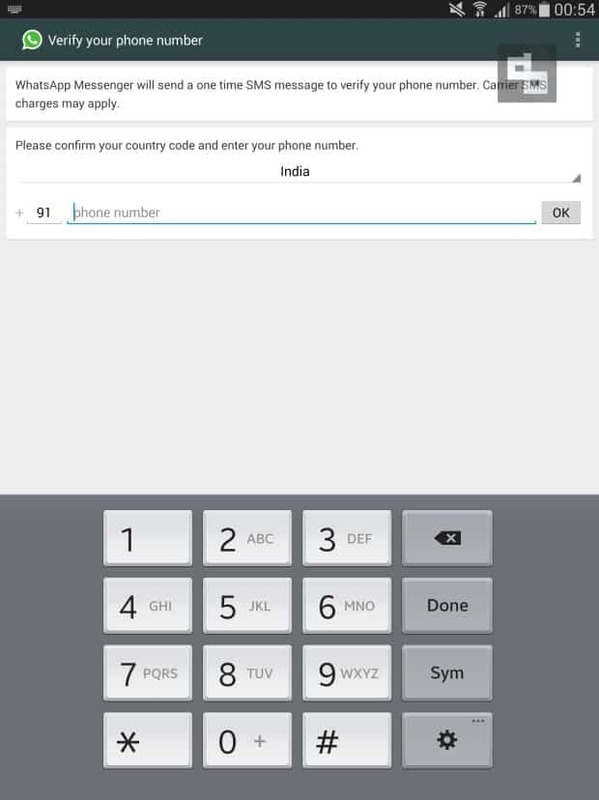 Just the usual procedure, enter your phone number and WhatsApp will send a one time SMS message to verify your phone number. That’s all. WhatsApp is ready to use. Simple isn’t it? Wish Google Play Store supports WhatsApp for tablets soon. Now-a-days people are using tablets as much as they use phones, so it’ll be nice if they make all the apps compatible with tablets as well. 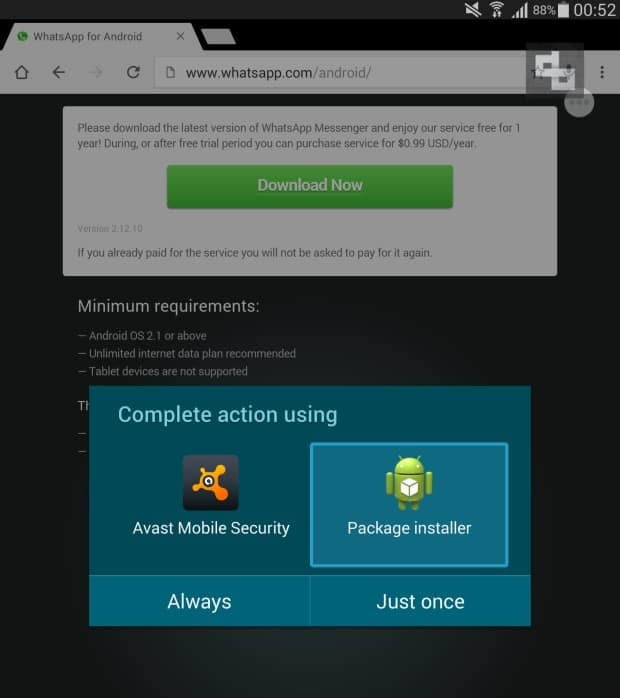 Hope these simple steps help you to install WhatsApp on your Android tablet, if you have any issues, do comment below.